We are located in Somerset and serve all surrounding areas. We look forward to hearing from you! Trident Building Inspections can service all of your inspection needs whether it is a one story condominium or a multi-unit apartment complex. We are fully licensed and insured with the state of New Jersey to perform home inspections, commercial building inspections, wood destroying insect inspections, and test for radon. We also offer mold inspections featuring air quality sampling as well as actual specimen testing, asbestos inspections and testing, lawn sprinkler inspections, swimming pool inspections, EIFS (exterior insulation and finishing systems) or commonly known as synthetic stucco inspections, and well adequacy testing. We also accept Master Card, Visa, and Discover for your convenience. 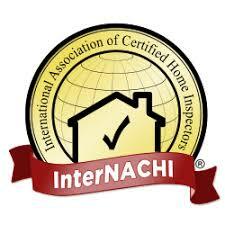 Robert Tami conducted the inspection for our home. From the beginning, he was professional, easy to work with and very responsive to phone calls and e-mails. We needed to schedule and reschedule the inspection due to the attorney review process and Mr. Tami remained patient and accommodating. We feel he went above and beyond with the inspection. He arrived on-time (or maybe even a little early) to the inspection. He performed a very thorough inspection of the exterior and interior with plenty of photo documentation. Our realtor even commented on the quality of his inspection, noting that the photos would be beneficial. Mr. Tami provided a lengthy report of the findings, complete with pictures, descriptions, and arrows pointing at the item of concern. We found his report to be very clear and easy to read. He clearly indicated which items needed to be addressed due to safety concerns and also made suggestions to improve the home. Mr. Tami was also very patient with our questions during the inspection and was available for follow-up questions after the inspection. We are first time home owners with limited knowledge in this area, so his care, patience, and manner are all greatly appreciated. Overall, Robert Tami has been a pleasure to work with and we highly recommend his services to anyone in need of an inspection.